Here we teach you the best living room ideas that can be a quick and easy do it yourself home renovation project drastically impacting your daily quality of life. 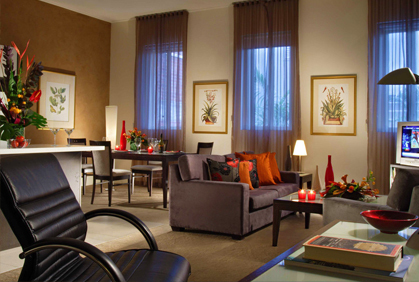 What could be better than having a beautiful space to lounge and relax in with family after a long day at work? 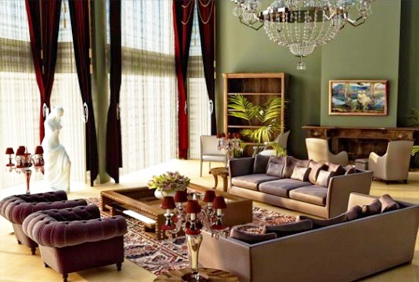 Make your home your castle with our outstanding design ideas for living rooms sure to elevate your existing style. 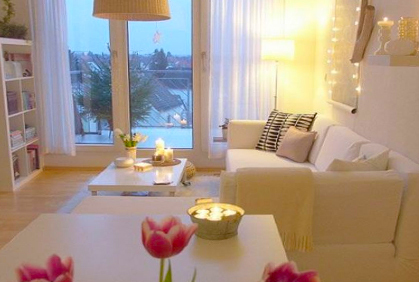 With simple layouts and beautiful décor, any outdated space can be transformed. The first step to any home makeover is fabulous design inspiration. Our online showroom filled with beautiful living room pictures is your best resource for fantastic décor transformations, style guides and 2017 trend reports sure to stimulate your own creativity. One of the most frequent dilemmas that homeowners face when designing a small living room is how to incorporate and disguise unsightly modern technology. Contemporary décor oftentimes must bring together classic decorative furnishings with luxury conveniences such as televisions sound systems and games to create a space that is functional as well as beautiful. There are several techniques we suggest for blending these two worlds. Living rooms often become the heart of a home, serving as a centralized gathering place for evening relaxation and entertaining guests. For this reason, it is important that these rooms feature a functional layout and, above all, absolutely stunning décor. Revamping your drab and outdated plan with a new living room design is an outstanding budget-friendly home improvement project guaranteed to be enjoyed day after day. Take your outdated space to the next level with thoughtful layouts and casual effortless style paired with luxurious modern amenities. 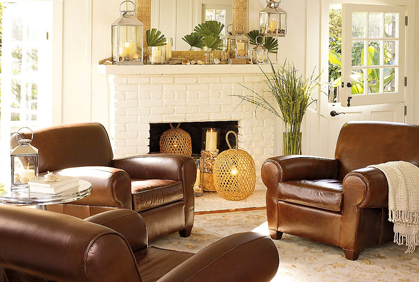 Our seasoned design pros bring you sitting room ideas that give you the fabulous inspiration and helpful do it yourself remodeling tips you need to get your next home makeover underway. 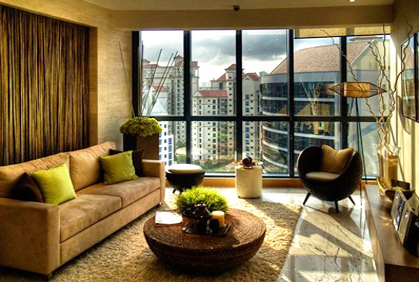 In general, the first thing to consider when planning your new living room design is functionality. Who will be enjoying the space and what will it be utilized for? Will the room be a family area for watching television after work or a more formal setting encouraging intimate conversation among guests? The answers to these questions will not only determine the layout and focal features of the space, but will impact decisions like color schemes for living rooms as well. If your room will primarily act as a family space, incorporate great kid friendly features such as an outstanding entertainment system and hidden storage elements to stow toys and game. The decorating themes should be casual and fun – try a neutral wall color with bold whimsical shades in textiles and accent pieces. Rather than attempting to completely hide these elements, make them a part of your décor. Build a decorative encasement for a large flat screen television above the mantle or select top wall paint colors that coordinate with inset surround sound speakers. The best living room design pictures show a cohesive mix off all elements, both decorative and functional, with no single item distracting from another. Once you have determined the functional needs of your new space it is time to start decorating! Begin planning your living room makeover with an innovative 3d room design tool. These great programs allow DIY decorators to experiment with each and every stylish detail, from color palette and décor themes to furniture arrangements and everything in between. Online design software is an incredible tool for homeowners requiring small room ideas because, with just the click of a button, you can input your room’s exact dimensions and focal features then virtually tour your new space. 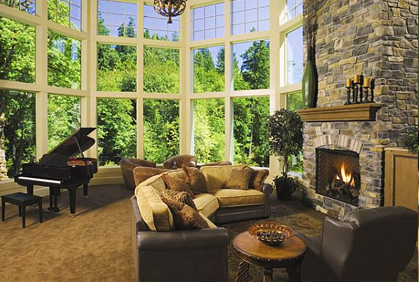 Many models even incorporate pictures of decorated living rooms to serve as design inspiration.